Pristine, spacious, and spectacular residence in the renowned Coles House. This one bedroom, one-and-a-half bath condominium is rich with character and creativity, ideal layout, high-quality finishes, a private balcony, and two-car paid parking on the block (sellers will pay for one year up front). All of this on one of the prettiest, most desirable blocks anywhere. 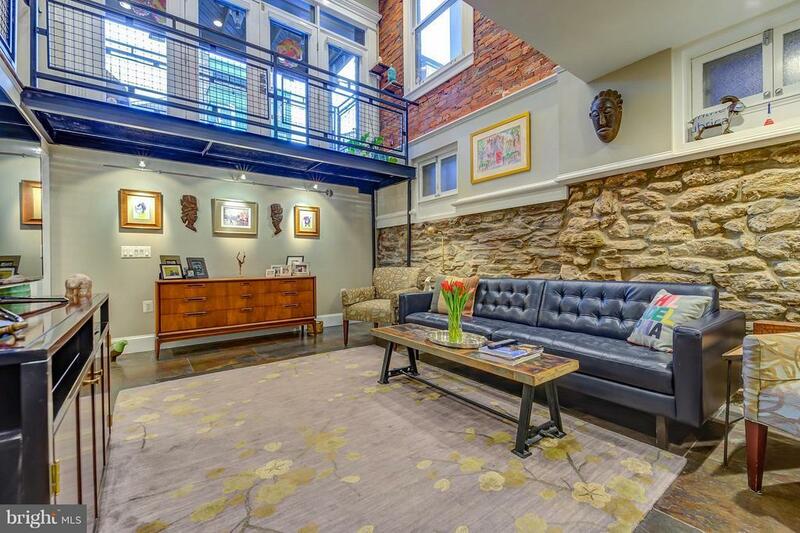 Exposed brick and stone. Custom iron work. Solid doors. Hardwood and tile floors with radiant heat. Excellent light. Enter from the Coles House luxe common space into a comfortable sitting room. Custom coat closet. French doors lead to the balcony, which is a lovely space to grill, read, and relax. The spacious bedroom has a custom closet and en-suite tile and stone bath with linen closet. Down several steps to the phenomenal living space. Spacious living and dining area yet made to feel homey and warm with the natural stone walls. The open kitchen offers black granite countertops, Dacor and Liebherr appliances, and ample space and storage, including a pantry closet. Half bath with stone countertop, large custom closet, laundry room with high efficiency washer and dryer, extra storage. 2-zone High efficiency HVAC (2 Nest thermostats). The Coles House is the epitome of a perfectly run building. If you are looking for a building whose residents see the common areas as an extension of their gorgeous residences, you have found it here. Also pet friendly. Did you know that the association just cut the buildings electric consumption by nearly half, offers onsite recycling, and has plans to upgrade the entry system in 2019 to include entry fobs at the front and rear doors? And the condo association currently maintains cash and reserves of $150, 000 to ensure it can fund these items and meet the needs of the building for years to come. The Coles House offers an absolute A+ location. Not only a grand, quiet, tree lined block with historic homes; also a 98 WalkScore and 100 TransitScore. Walk to tons of restaurants and coffee shops, Whole Foods, ACME, Seger dog park, Midtown Village, Washington Square, Rittenhouse Square, public transportation, and just everything that Center City has to offer. PARKING--Two car tandem parking outside rear door on Cypress and several properties down. This parking is professionally managed and has been rented by last several owners of this unit. Seller will pay for these two spaces for one year ($385/month).